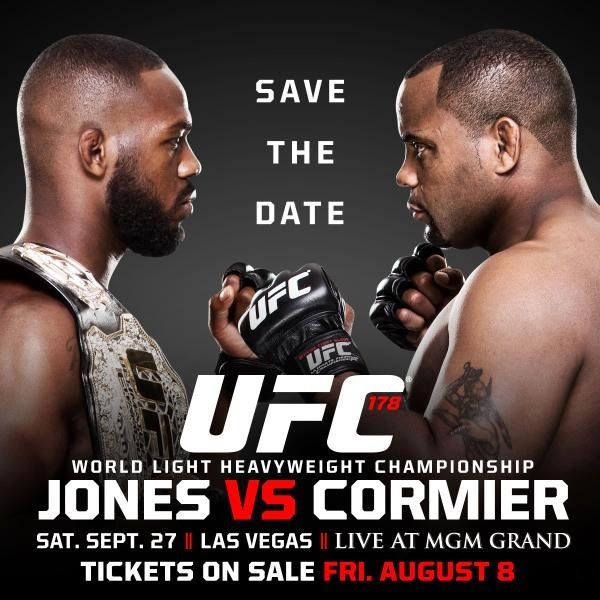 Watch the Jon Jones vs Daniel Cormier Fight Replay for the UFC 182 light heavyweight championship scheduled for 5 rounds held at MGM Grand Garden Arena, Las Vegas, Nevada, USA last January 3, 2014. It was Jones who was victorious in their 5 rounds of battle between Cormier. Jon Jones entered this fight with a professional mma record of 20-1-0 (75% finishing rate) and he is ranked as the No.1 light heavyweight in the world while Daniel Cormier ‘DC’ (8 years older than Jones), has a perfect record of 15-0-0 (67% finishing rate) and he entered as the No.2 in the same weight class and is undefeated. In Round 1, it appeared that Jones might be able to utilize his reach to coast to yet another easy victory. Despite DC's best efforts to close the distance, Jones was able to control the pace and land more effectively. As the second round got underway, Cormier showed that it wouldn't be that easy. The former Olympic wrestler was able to close the distance and fight primarily in the clinch. The result was some damage from both fighters, but Cormier found a way to make it a competitive affair with dirty boxing. Much of the pre-fight hype centered on which of the wrestlers could get the takedowns. In the fourth round, we got our answer. Jones landed two as Cormier appeared to be running out of steam. The first of the four championship rounds appeared to signal the end for the challenger. The fifth played out much like the fourth as Jones controlled the fight in the clinch. Cormier was finally able to take the champion down with a slam, but it was too little, too late. Jones had won the bout on the judges' cards. Watch the video highlights Jon Jones vs Daniel Cormier Fight Replay here. Thank you for watching the Jones vs Cormier Fight Replay.